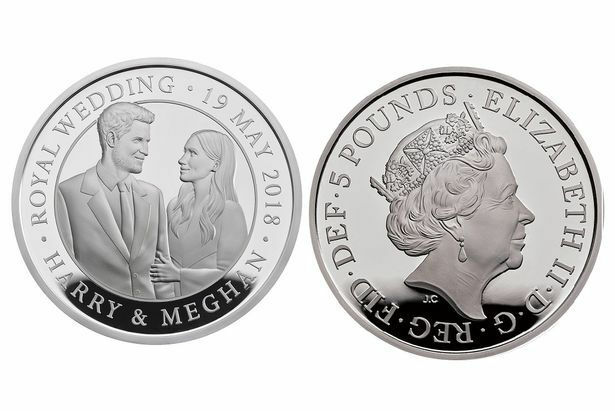 A new £5 coin has been designed to celebrate Prince Harry and Meghan Markle’s wedding, which will take place later this month. The coin is available in golf proof, silver proof, or polished copper and nickel. Following the announcement of their engagement, the Royal Mint said it was granted a private sitting with the couple at Kensington Palace. In a statement, it said that the design “highlights the easy familiarity and connection between the royal duo”. The coins will be available in Brilliant Uncirculated, or Silver Proof and Gold Proof £5 on the Royal Mint website. The gold proof coin costs a whopping £1,980, the silver is £82.50, and polished copper and nickel is £13, making this coin one of the most valuable ever. Will you be buying the coin? Let us know in the comments. Not sure I’ll buy one, the collectors ones are a bit expensive.